Personality Types and Drug Use: Do Personality Types Attract Different Drugs? There has long been a vigorous debate over the validity of the theory of the “addictive personality disorder” in academic and clinical circles. Fordham University, among other institutions of higher learning, has compiled multiple research studies that argue both for and against the idea of a singular personality type that lends itself to substance use disorder (SUD). 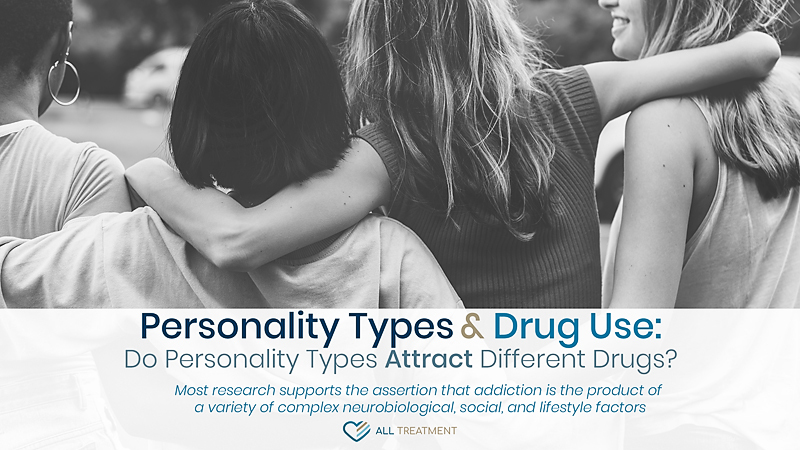 Within this debate is a separate exploration of whether or not certain personality types are attracted to specific drugs. Most research supports the assertion that addiction is the product of a variety of complex neurobiological, social and lifestyle factors; however, identifying what, if any, link exists between certain types of personalities can better inform treatment outcomes and protocol. Does Your Personality Put You at Risk of Addiction? The short answer to this question is “no”; the longer answer is that different experiences, obstacles, and levels of adversity can help cultivate personalities that more readily lend themselves to addiction. Research published in the American Psychological Association’s (APA) Psychological Review suggests that personalities develop around basic needs, specifically the need to predict our world, the need to build competence to act on our world and because we are social beings, the need for acceptance from others. If we consider some of the common origins of SUD – trauma, family issues, financial difficulties, mental disorder, etc. – we can see the visible manifestations of these basic needs not being adequately nurtured. While these traits can be cultivated very early, they are usually developed out of the response of singular or repetitive formative experience. Research cited by Psychology Today indicates that there are generally five main personality traits, all of which can lead to addiction under the right (or wrong) circumstances: openness, conscientiousness, extraversion, agreeableness, and neuroticism. These traits can also lend themselves to behavioral disorders like compulsive overeating, computer addiction, gambling addiction, sexual addiction and more. Many of these personality traits are also rooted in childhood trauma that can manifest in risky or self-destructive behavior that can continue well into adulthood. The exact age at which personality and values are developed is also a subject of debate. One recent study from the University of California -– Riverside suggests that personalities are essentially fully formed by the first grade. Several studies, including one from the University of Rochester, indicates that the brain fully develops at age 25, which may explain the age-related predisposition of teenagers and adolescents toward drug use and underage drinking in America. 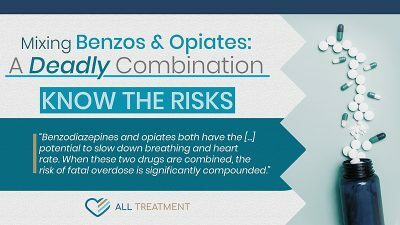 As different types of circumstances can lead to the cultivation of different value systems, dispositions and personalities, they can subsequently lead to different types of drug addiction. Some types of personalities are prone to engaging in behaviors that increase the risk of addiction. Someone with excessive pride may take opioids to silently self-medicate for injury so they’re able to keep working and taking care of themselves or their families financially. Someone with a less strong or more dependent personality might be more easily pressured to drink to excess or use marijuana. Someone who is more prone to risk, materialism, and reward may take cocaine or stimulants to stay up for long hours to get ahead at work. Someone with chronic depression may endeavor to self-medicate with heroin or excessive amounts of alcohol. Other types of personality traits that may lead to drug use and addiction may include impulsive behavior, compulsive behavior, nonconformity, inability to deal with stress, low self-esteem, grandiosity, lack of patience, denial, antisocial tendencies, isolation, anger and more. If you notice that you or your loved one is exhibiting these personality traits and that they’re leading to drug or alcohol use, it may be time to seek professional help. One personality test, still used in some work environments, is The Myers-Briggs Type Indicator (MBTI). MBTI is a psychometric questionnaire designed to assess psychological differences in how people perceive and decide things about the world around them. According to an article written in Oxford Academic Journals Alcohol and Alcoholism section, the MBTI was once used to profile the personalities of inpatient alcoholics/SUD patients who had, and those who did not have, a concurrent affective disorder diagnosis. The test showed that alcohol-users who were not associated with a mood disorder were slightly more sensitive and less intuitive. Alcohol users with mood disorder were significantly more introverted. The journal states that one of the most common discrepancies between studies of underlying personality in alcoholics and nonalcoholics is the fluctuating level of introversion and extroversion among participants. Depression is closely associated with being an introvert, but there can be personality changes when the user is intoxicated, making results even less accessible. SUD and all underlying associated mental health issues should be treated through a comprehensive course of behavioral rehab that includes group therapy, individual counseling, and targeted and supplemental therapies. The exact scope and duration of rehab will vary depending upon each patient’s individual care needs and substance use history; however, each program should simultaneously address the immediate fallout of addiction and the underlying personality disorder that led to it. Generally speaking, it’s difficult to pinpoint an exact and quantifiable relationship between addiction and personality disorder; however, there are common circumstances that can drive and sustain drug or alcohol abuse. The way we internalize these circumstances can directly inform the cultivation of our overall personality.